THROUGH its Public Rural Crisis Fund, QCWA has given more than $4 million in drought assistance. If you need help for household expenses or bills phone the state office on (07)30261220 or go to www.qcwa.org.au for an application form. Assistance is in the form of store credit, vouchers or bills paid. The application form is easy to fill in and is just one page. Last week members and friends enjoyed a bus trip to Kalfresh and other places nearby. This year QCWA's primary product is carrots and all enjoyed seeing the Kalfresh factory. The annual state conference is fast approaching and will be held at the Brisbane Convention Centre from October 22-24. Members will discuss many things and all competitions will be on display and winners announced. It's also the annual catch up with friends from all over the state. There are a number of competition winning entries from border members going to conference for final judging. All the best to the entrants. Sincere thanks to Killarney Co-Op, which has donated a camera for the state photography raffle at conference. This is appreciated and the winner will be sure to be happy with such a good prize. Wallangarra Branch is holding a cent sale with a Christmas theme on October 4, with doors open from 12.30pm. Even if you don't win any prizes, the afternoon tea that members provide is worth the attendance. Wallangarra members also help to man the Driver Reviver stop during school holidays. Clifton Branch is holding its spring lunch on October 19. There are two sittings for lunch as this is a popular event for the start of Clifton's Country Week. In readiness for spring, Clifton Branch has installed new curtains, purchased new tablecloths and given the rooms a good clean. Killarney Branch held a very successful floral art demonstration day, with many pretty arrangements being produced. On November 3, the branch will be holding a retro race day lunch. Yes, it's not long until the Melbourne Cup. Division handicraft members have been busy running a raffle for drought relief. The usual handicraft has not been forgotten and 90 beanies have been sent to the Seafarers Mission, along with all the other craft that the members produce. Members of the public are invited to attend the handicraft, which is held in the Condamine Valley Warwick rooms in Grafton Street, Warwick, on Wednesdays at 9am. You can bring your own craft, learn a new one or just enjoy the company. As well as state conference and Melbourne Cup parties, branch members are starting to think about what to do for Christmas functions. It is certainly a busy time for members, with plenty to do. There is no need to feel lonely. 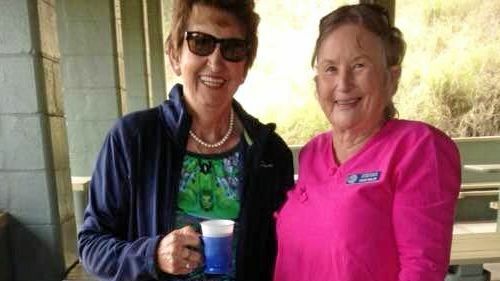 Join QCWA and become involved in fun and friendship while helping the community. Phone Jenny Whitsed on 46648083 of email jenny whitsed@hotmail.com for more information on Border Division and its activities.